Dr. Pitud is an expert in the treatment of allergic disease and immunological deficiencies for both Adult and Pediatric patients. He practices in 3 clinics around the Chicagoland area located in Hazel Crest, Oak Lawn and Joliet. He also offers House Calls in selected areas including Oak Park, River Forest, Forest Park, Berwyn and Chicago. 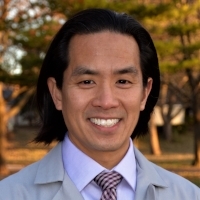 Find out more about Dr. Pitud's expertise, practice beliefs and publications.